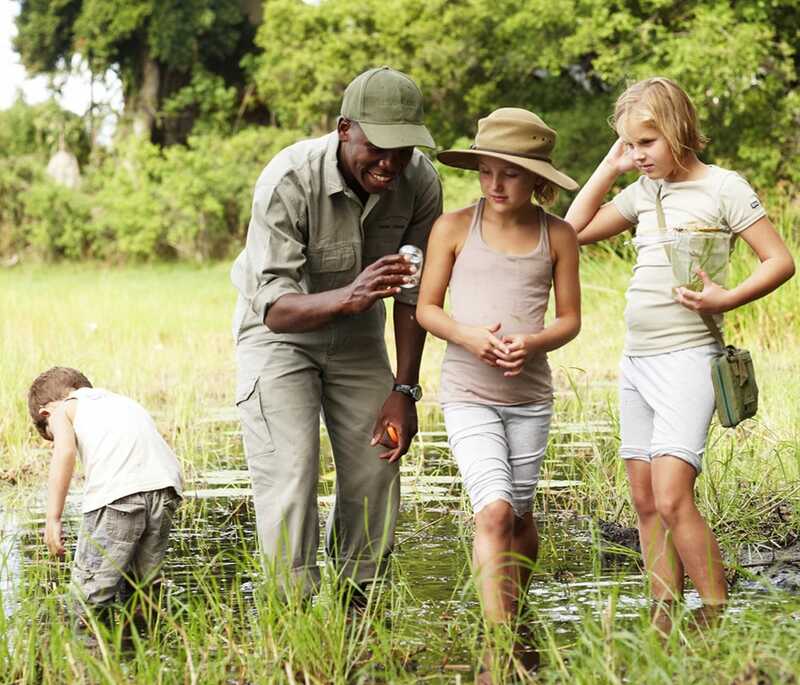 We’d recommend the Chobe Riverside area to families with young children. 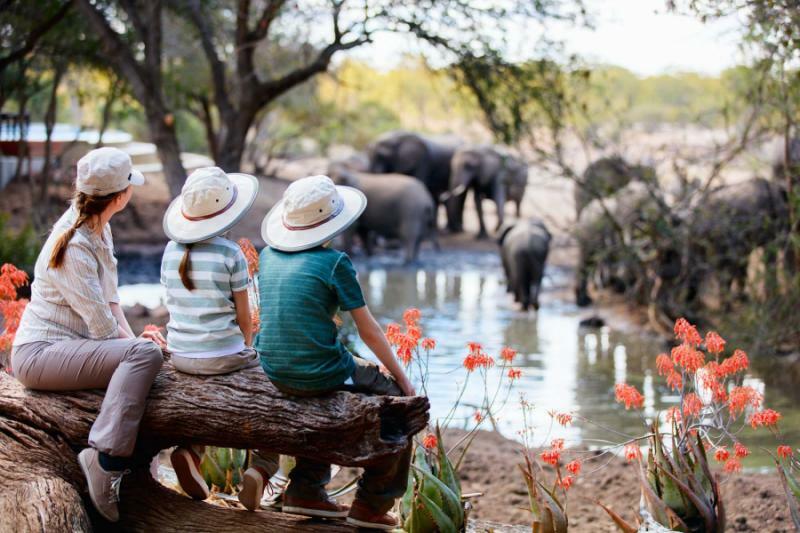 There are simply more activities on offer, from river cruises as well as land-based safari game drives, to tiger-fishing (yes, some lodges will help your child catch-and-release their first fish). Prices, too, can be more manageable as accommodations are more plentiful and charter flights need not be taken. Proximity to town can be a plus and a distraction from the daily game drive regime. Attractions here include CARACAL, a conservation centre where you can see rescued animals such as long-fingered bushbabies (they do excellent conservation work too); open 9am to 5pm daily. Shopping doesn’t interest most kids, but they may enjoy curio shops while parents seek out the beautiful handwoven mokolwane palm leaf baskets made by Botswanan women. Even buying a stick of sugarcane from a roadside vendor can be fun; chewing on the stalks is bound to be a new experience. 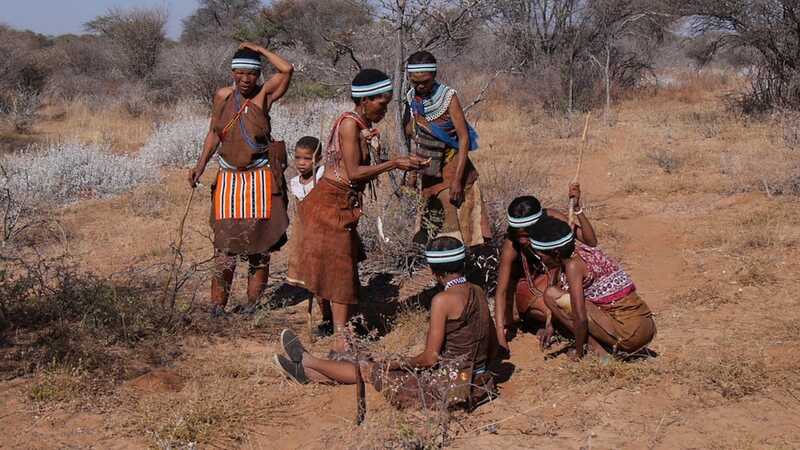 And visiting an African village on Impalila Island or elsewhere will give the children a lot to think about (cultural tours can be booked). Take a soccer ball to make instant friends. Some accommodations will also have games and TV rooms, whereas a swimming pool is a real plus for families with children of all ages – although they may be unfenced.